Wind turbines have been widely used, and one of the main reasons is the low environmental impact caused by these technologies. However, for the Amazon Region the design of small turbines is still challenging, because most of the turbines available present low capacity factor. 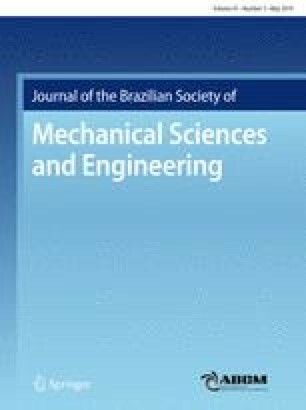 Hence, this work deals with a new methodology to assess the energy production of a small wind turbine with high capacity factor, specially designed for the Brazilian Amazon Region. The blade element theory was employed into the dynamic equation of the powertrain, in order to establish a steady-state model. Experimental data were obtained using a bench setup developed to test small electric generators. Data for the shaft rotation speed of a synchronous generator with permanent magnets were measured. The interception between mechanical power and generator curves was also proposed to calculate the operating condition of the turbine. All simulations were made in an autonomous system, using a height of 15 m above ground level in the city of Salinópolis on the coastal area of the state of Pará, Brazil. The capacity factor verified was higher than those of two wind turbines of 1 kW available on the market. This result shows that the use of a turbine adapted to low average wind speeds can contribute to a better use of the available wind potential in the region. Technical Editor: Jose A. R. Parise. The authors would like to thank CNPq, CAPES, GEDAE, INCT-EREEA, PROCAD/CAPES (Agreement: 88881.200549/2018-01), and PROPESP/UFPA for financial support.